I read around 75 children’s books this year, up from 57 last year, which made it a much harder year to distill down into a top 10. There are loads of great books I’ve left off the list! 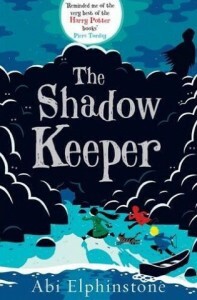 As usual, date of publication is completely irrelevant – my only criteria for inclusion are that the book is for children (picture book all the way to YA) and that I read it in 2016. Jess’s friend Eden has gone missing. Eden’s boyfriend Liam is a suspect. Jess, Eden, and Liam all have secrets… secrets that are revealed over the course of this book in masterful style by Ms Flanagan. 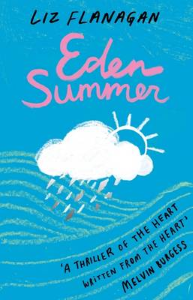 I was never a teenager (not really, anyway), but the depiction of Jess and Eden’s life, with all the vivid and convincing characters and emotions, rings true, and the slow unveiling of secrets and drama is paced perfectly. Brilliant stuff. 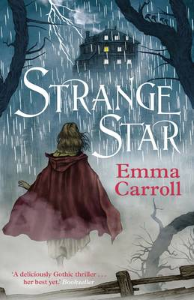 12-year old Hazel is a witch – and Cromwell’s England is not a good place to be a witch, with the land patrolled by brutal witch finders. Fortunately Hazel has her familiar, the grumpy dormouse Bramley, and teams up with expert demon hunters David and Titus to track down her mother, who’s been abducted. Fun, exciting, and very funny in places, with some genuine moments of darkness. 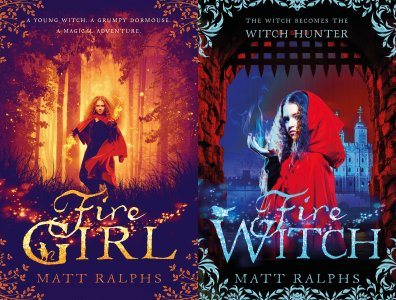 The sequel Fire Witch carries on the story brilliantly (I’d recommend you buy the sequel before you finish Fire Girl), and I’ll definitely look forward to more adventures from Hazel and Bram. Reviewed on this blog in March. 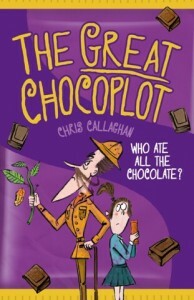 A tasty treat, a fun adventure that’s full of chocolatey goodness, with a wonderful depiction of Jelly’s family and a suitably dastardly villain. With the world’s chocolate supply in peril, the stakes could hardly be higher! 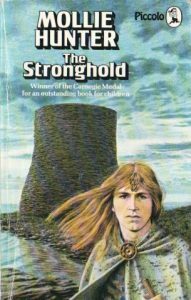 I mentioned this book back in November when I wrote about Brochs in fact and fiction. This is a tale of how the brochs came to be – with one genius architect in Orkney, trying to find a way to defend his people against Roman slave ships, fighting against clan politics, the opposition of the druids, and traitors in their own midst. It’s a fantastic book, and isn’t lessened by the current archaeological consensus that the invention of the broch pre-dates the Roman invasion. Why let facts get in the way of a good story? Reviewed on this blog back in February. A sequel to the amazing The Dreamsnatcher, this book adds more excitement, fun, magic and brilliant characters. Can’t wait for the third in the trilogy, The Night Spinner, which is due in February 2017. Reviewed on this blog back in September. 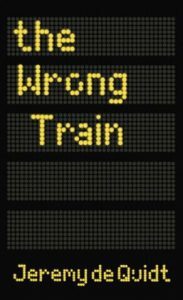 A collection of scary short stories linked by a framing narrative, where a boy, rushing for the last train, manages to get on the wrong train and end up on a platform in the middle of nowhere. Night’s drawing in, his mobile is out of juice, there’s no-one around, and no sign of another train coming… Out of the gloom comes and old man with his dog. And the old man has some stories to tell to pass the time… Perfect for long dark evenings – as long as you don’t mind a shiver or two down your back, and a feeling like someone is standing in the shadows right behind you. A creepy and exciting story that takes as its inspiration the genesis of Mary Shelley’s Frankenstein, beginning in 1816 on the shores of Lake Geneva as Lord Byron and his guests gather to tell ghost stories – only to be interrupted by the arrival of a young girl with a story even stranger and more disturbing than anything they can come up with. Reviewed on this blog back in April. It’s a science fiction adventure of galactic scale, with an almost mythological tone in places that meshes closely with the science-fictional elements like dark matter and starships and space pirates without jarring. I’m including both of these books in one slot as otherwise it’s unfair on the other authors – each one would justify a place on its own. 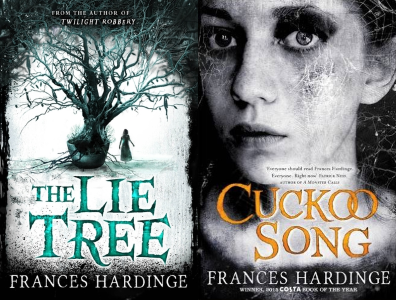 The Lie Tree won loads of awards, including the overall Costa (not just the children’s prize) and it’s one of those rare books that’s even better than the awards, accolades, and hype suggested. Cuckoo Song is, perhaps, even better, with an absolutely fascinating lead character and a richness and grittiness to its mythology that can’t fail to satisfy. Ms Hardinge’s prose is a thing of absolute beauty, too – I’m in awe of the way she uses simile and metaphor. 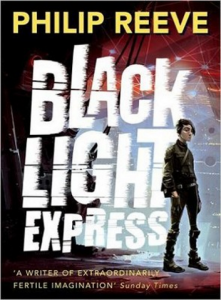 And Black Light Express exceeds expectations in every way, which is why it has pushed its way past Frances Hardinge into first place. This is no lazy cash-in sequel (not that you’d expect that from the author of the Mortal Engines series) but an expansion, with more characters, more worlds, more history, more secrets, more betrayals, and (most importantly) more trains – the universe of Railhead and Black Light Express is populated by artificially intelligent trains that ride the rails through gates between worlds. There’s even a “wrong kind of leaves on the line” joke… But while there is humour (particularly from the slightly psychopathic wartrain Ghost Wolf) there is darkness and drama above all, as Zen and Nova, the protagonists from the first book, join forces with Chandni and Threnody in a conflict that will determine the shape of the entire universe; and yet the drama works on a personal level, too. If the ending doesn’t move you, you have a heart of stone. 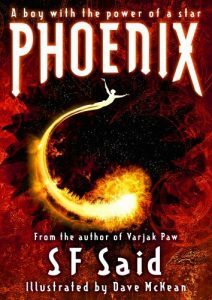 This is an Iain M. Banks Culture novel for teens – vivid, rich, incredibly imaginative, beautifully written, tremendously exciting, and populated by very human characters. And as with Banks, some of the most human are the people who aren’t even human at all. The next volume in the series can’t come soon enough. Barbara Henderson’s Fir for Luck and Michelle Sloan’s Revenge of Tirpitz. As my own book The Beast on the Broch is a stable-mate of these two books (together, these three make up the debut books in Cranachan’s YesterYear series of Scottish historical children’s fiction), I’d find it hard to place them objectively in my Top 10, and I want to avoid any hint of favouritism – so let’s just say they both come highly recommended. See my reviews of the books for more details about just why they’re so good. This has been an excellent year for children’s books. I’d happily recommend dozens of the books I’ve read this year, and coming up with a top 10 was extremely difficult – in fact, if you actually count, I’ve listed 14 books, so I’ve cheated anyway. Children’s fiction is in incredibly good shape, and I’m excited to see what 2017 brings.